Apple has announced two new clean energy programs designed to cut the carbon footprint of its manufacturing partners in China. The initiatives are estimated to save the environment from some 20 million metric tons of greenhouse gases between now and 2020. 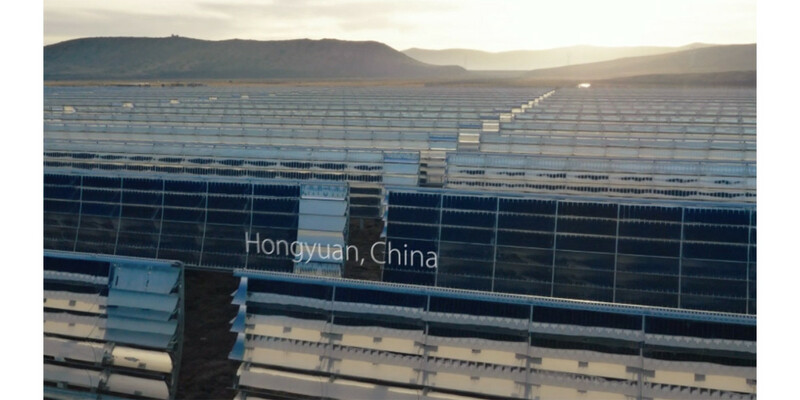 The company is significantly expanding its clean-energy investments in China by building more than 200 megawatts of solar projects in the northern, eastern and southern grid regions, to start offsetting the energy consumed by Apple’s supply chain. Apple also plans to move its manufacturing partners toward energy efficiency and clean energy. By partnering with suppliers in China, Apple plans to install more than 2 gigawatts of new clean energy for the future. It will share best practices for producing clean energy and building renewable energy projects, and assist suppliers with energy efficiency audits, regulatory guidance and building partnerships to bring in new clean energy projects. As part of this program, Foxconn will construct 400 megawatts of solar by 2018, starting in the Henan Province. Foxconn is committed to generating as much clean energy as its Zhengzhou factory consumes in final production of iPhone, Apple said. In addition, Apple announced that construction on 40 megawatts of solar projects in the Sichuan Province — which produce more than the total amount of electricity used by Apple’s 19 corporate offices and 24 retail stores in that country — is now complete. Today, Apple is powering 100 percent of its operations in China and the US, and more than 87 percent of operations worldwide, with renewable energy, according to the company. Apple has for years expressed its commitment to reducing environmental damage caused by the manufacturing process. Since 2006, Apple has publicly tracked its efforts to reduce the environmental impact of its manufacturing processes, including reducing greenhouse gas emissions, eliminating toxic chemicals from its hardware products, switching to renewable energy for its data centers and much more. Over a year ago, Apple released a video highlighting its environmental responsibility, alongside a website outlining steps it is taking to police its own environmental impact. More recently, Apple teamed up with the World Wildlife Fund in a multi-year effort to save China’s forests and make that country’s manufacturing facilities greener.